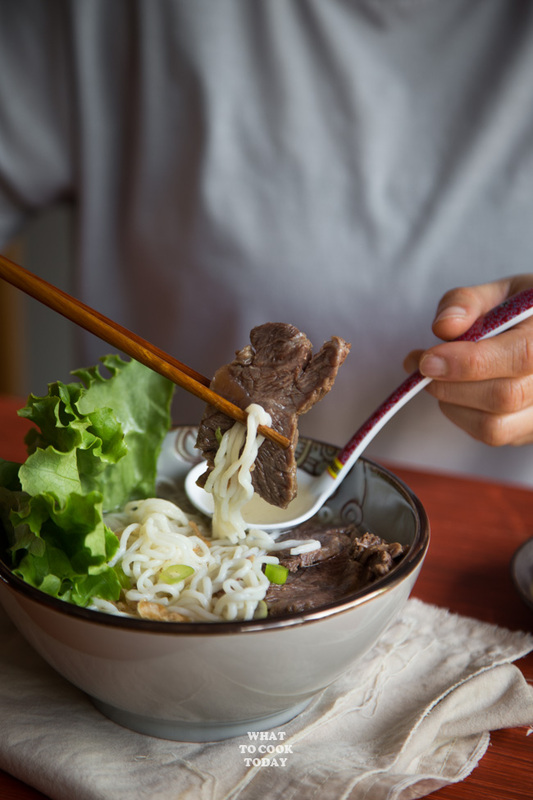 Pressure Cooker Beef Shank Noodle Soup – Noodle is served with tender and sinewy beef shanks slices and aromatic savory soup. Both pressure cooker and stove-top recipes included. 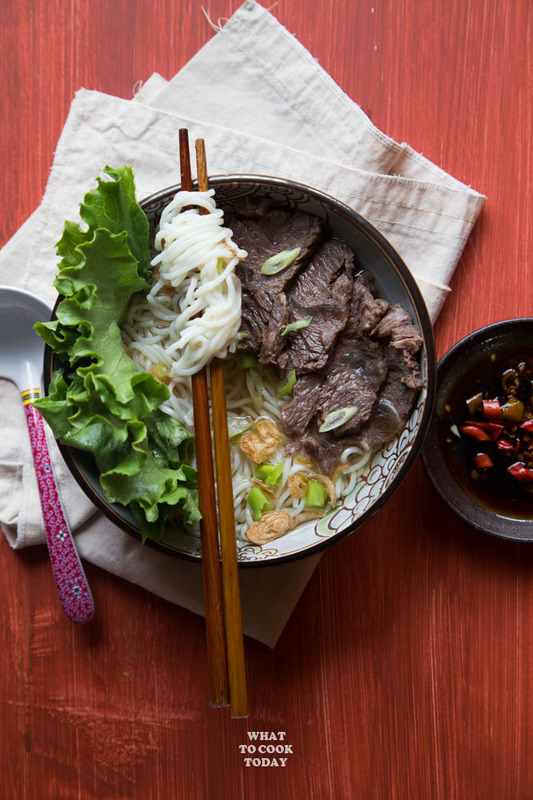 The inspiration of this dish came from the Taiwanese beef noodle soup that I made a while ago. I was craving for something lighter. 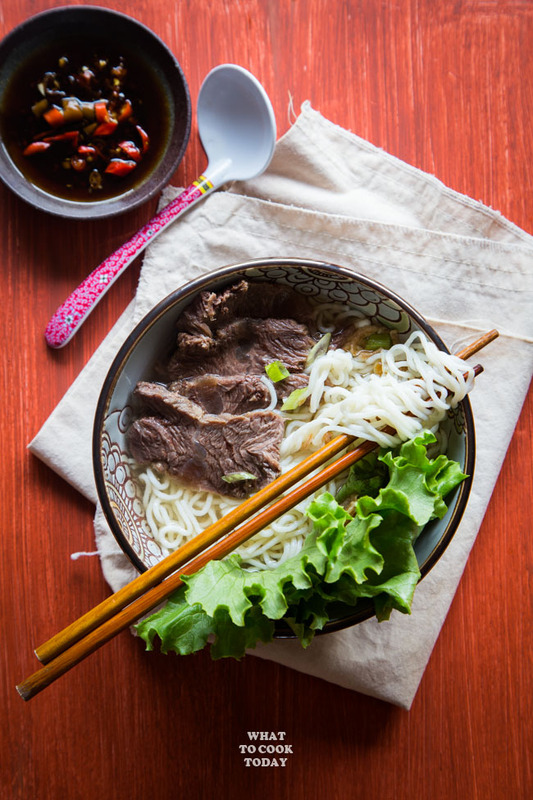 This beef shank noodle soup is much “lighter” in terms of taste. I kept the seasonings ingredients simple. This version is definitely simpler to put together. It’s still aromatic and soup is not as deep brown in color too. Why pressure cooker makes it easier? Cooking the beef shank on stove-top may take about 2-3 hours. It took me about 60 minutes of pressure cooking and 5 minutes to release pressure. We are talking about pressure cooking the entire 2 lbs of beef shank without cutting! If you cut it into chunks it may take somewhere form 35-40 minutes. It may not save you time drastically, but you can really just set and forget and go do something in that 1 hour. WHERE TO FIND BEEF SHANK? Like I’ve mentioned in my other post when I made Thai Beef Khao Soi using beef shank, beef shank is not very popular and not easy to find here in the regular main-stream grocery store. I usually find it in Asian grocery store and in boneless form too. WHAT IS GOOD SUBSTITUTE FOR BEEF SHANK? You can use oxtail or chuck. These two are perfect for slow cooking or pressure cooking like the shank. Parboiling will help to get rid of the scums or any impurities. Parboiling doesn’t affect the taste of the end product, not that I notice, it just gives you a “cleaner” looking soup. If you want to skip this step, it’s fine too, just scoop off any scums after pressure cooking. Sauteing the aromatics and spices help to amplify the intensity of the flavor. Mom swears by this and so I get into a habit of doing this too. Please take note that I cooked the whole slab of beef shank in the pressure cooker, so the cooking time takes a bit longer. Rest the meat for 10 minutes after pressure cooking. This helps to keep the meat moist and tender. If you slice immediately, you are risking losing all that “juice”. Pretty much anykind. 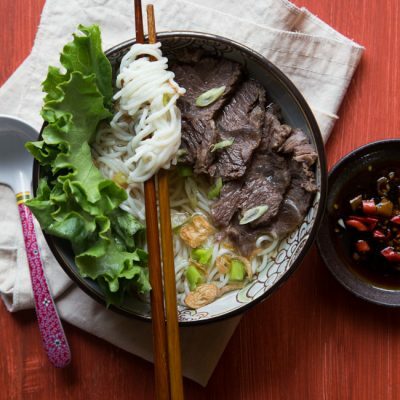 Rice noodles, wheat noodles, shirataki noodles (which is what you see in this post), ramen noodles, bean thread noodles. 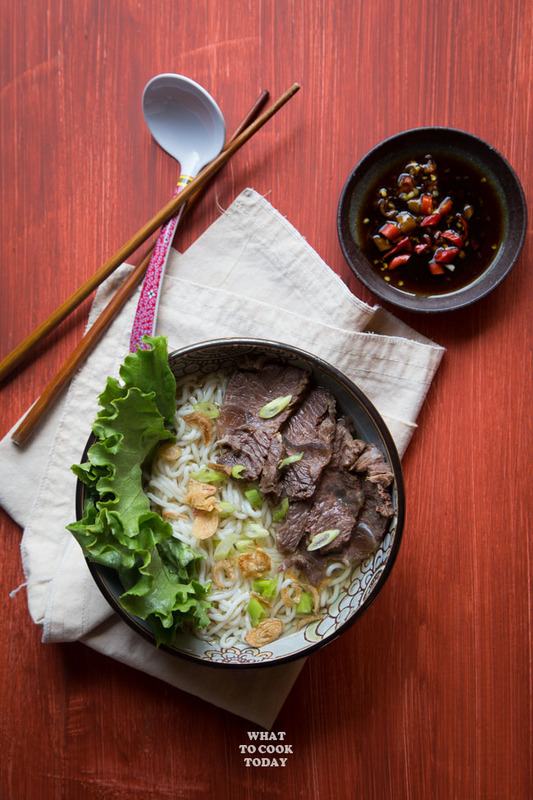 Noodle is served with tender and sinewy beef shanks slices and aromatic savory soup. Both pressure cooker and stove-top recipes included. This looks awesome Marv! 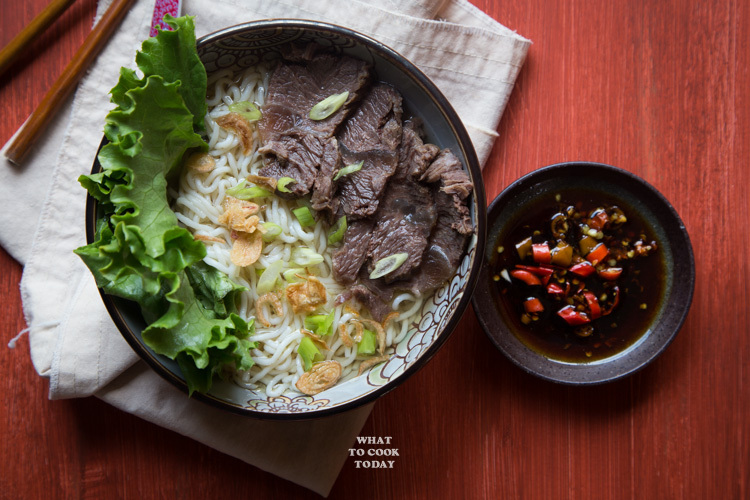 I don’t think I’ve ever cooked with beef shank before, but totally need to try – I love those types of beef cuts. Loving the simplicity of the flavors in this…totally something I’d love to make for weekday meals! Fantastic! Almost as good as what I love in my local Korean restaurant. Didn’t have the right noodles, used soba, still delish! Super easy too.